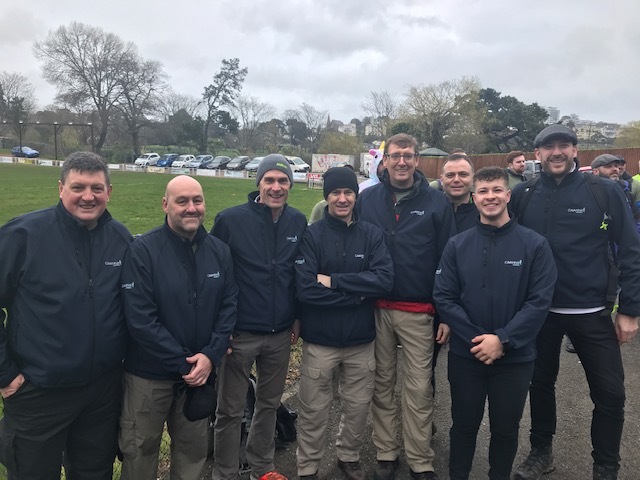 Well done to our team of nine who took on the ‘Male Trail’, an eight-mile circuit walk in Torquay to raise funds for Rowcroft Hospice, which also included pints, pasties and watching the 6 Nations! Rowcroft Hospice supports adults living with life-limiting illnesses in South Devon who rely on the generous funding of the local community to support patients and their families. In her role as a representative for Rowcroft Hospice, Brid O’Donnell in our Accounts Department volunteered as a marshal on the day and cheered the team on. 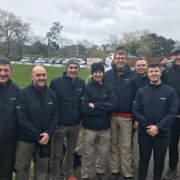 Jeremy Dymond, Land Appraisal Manager, said: “We loved taking part in this year’s Male Trail for Rowcroft Hospice, and would like to thank everyone for their generous donations and overwhelming encouragement. “A lot of people in South Devon have had or known someone who has had exceptional care at the hospice or by the nurses within their own home, so we jumped at the chance of getting involved in the Male Trail. “A massive well done to all our team who took part!”.